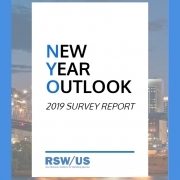 From our 2019 RSW/US New Year Outlook Survey, an interesting stat: for the first time in five years of our survey, the desire for specialist agencies dropped. 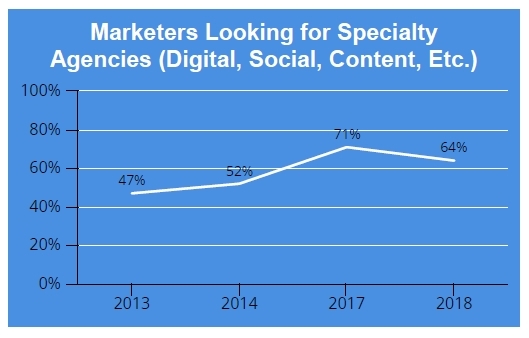 OK, the sky is obviously not falling, 64% of marketers told us they’re looking for a level of specialization from the agencies they work with, but there’s still that dip. Why the decline and what does it mean for your new business program? For small to mid-sized agencies (which are predominantly our client sweet spot) we often see those firms become the client’s marketing department to a great extent. That isn’t always the case of course, but when it is, that client looks to the agency to get it all done, or to partner with other specialized firms to get it done. This feeds into the ongoing agency consolidation we see in this year’s survey as well. So those clients may be seeking out less specialty agencies, and instead looking to their agency to do so. This quote does bolster the consolidation trend I mentioned earlier, but I think it also lends itself to the dip in specialization as well. I would argue they’re mutually exclusive in this case, per my first example. If this is the way marketers perceive multiple agency relationships, fairly or unfairly, then they’re going to stay with fewer agencies who can do the majority of the work, or, again, look to that firm to partner appropriately and let them orchestrate the relationships. So what does “generalist” actually mean today? They still have a focus. It’s when agencies try to be all things to all people that problems arise. There’s nothing wrong with working multiple verticals, but as we point out in our report, you need to have a defined positioning. 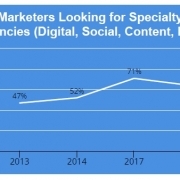 I’ll leave you with this to tie it all together: marketers are still looking for specialists. We see it with our own clients, and as you can see, 64% of marketers in our survey backed that up. However, you can be a generalist, as defined above, and still show your prospects you’re the experts in the services you provide, or over the multiple verticals you service, but one thing to keep in mind. We can speak the language if we get in the room. Are you speaking their language before you get in the room? If you aren’t, throughout your prospecting, you’ll never actually get in the room. How Agencies Manage New Business And Two Ways To Beat The 18 Month Curse Should You Ever Hire A Telemarketing Firm?